Images: Two images in high quality JPEG or PNG format. Send a clearly labeled (as Figure 1. MRI of wrist) separate file. 1. Last date for submission of abstracts is 25/8/2018. 2. 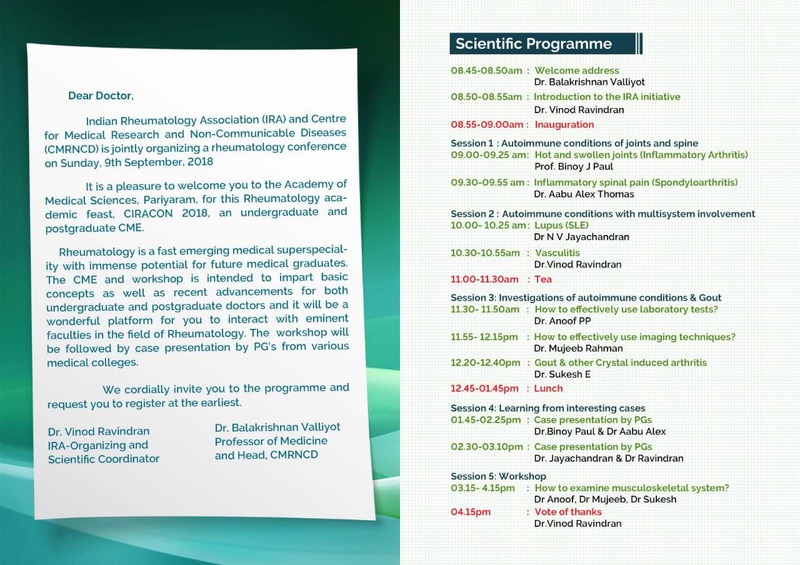 Registration for the conference is mandatory for presentation of the abstract. 3. Case reports and case series would be judged not only based on the novelty but also relevance and education for the delegates. 4. 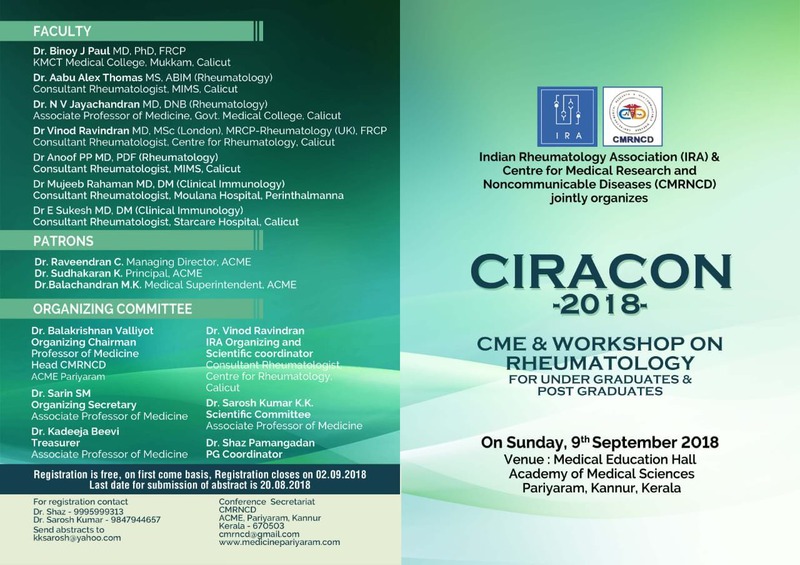 Best 8 case reports’ presenting author should be willing to present the work during the Indian Rheumatology Association (IRA) Medical College CME for UGs & PGs on 9th September 2018. • Only 10 slides including the introduction and conclusion slide. • The ppt must be forwarded to the Scientific Committee by 31st August 2018. • Time allocated is 7 minutes maximum. 5. The decision of the scientific committee chairperson would be final.